What’s the best way to become a maverick of the French language? Immersion is definitely the name of the game, and there are a ton of ways to do it: french audiobooks, e-books, french music, movies and apps galore! But the unfortunate fact remains: there are basics to learn. You need to have an understanding of French grammar and enough vocabulary to get you started. For some, supplementing immersion-based learning with an old-fashioned textbook is the perfect cocktail needed for French language learning. If you’ve ever taken a French class in school, then your vision of French textbooks may consist of cheesy photographs, unnatural dialogues, unorganized chapters and vocabulary that seemed to have no relevance to your life. There are a lot of French textbooks out there, but not all of them are very helpful. If your grammar needs a push in the right direction, or you just need a reference for when you get lost during immersion-based learning, look no further. Here are some great textbooks for every level that will hold your hand through la rue (the road) ahead. As a beginner, it’s important to find a useful textbook, as a bad one could possibly turn you off from picking up a French book ever again. They may not be the most effective way to learn a language, but they are a great supplement when you’re starting out. They can also be a lasting reference for when your brain starts to get foggy from all those grammar rules! 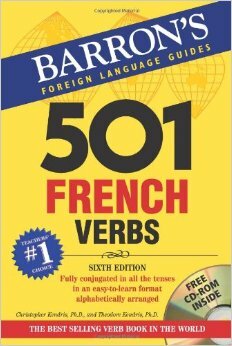 This book is the number one best-seller in the French Language Instruction portion of Amazon.com. It’s popular for a good reason. The way this book is organized takes you through different modules in a way that actually makes sense. It introduces more than 300 verbs, presented in order of importance. Verbs are vital when you’re starting out. This textbook will give you a foundation for grammar, vocabulary, all while building off itself chapter by chapter. It’s comes complete with a ton of exercises and their solutions, but hey, no cheating! You can also find this book on VitalSource, a platform that allows you to rent or buy e-books you can learn with on the Bookshelf app, along with a variety of other French textbooks, dictionaries, readers and targeted learning material. 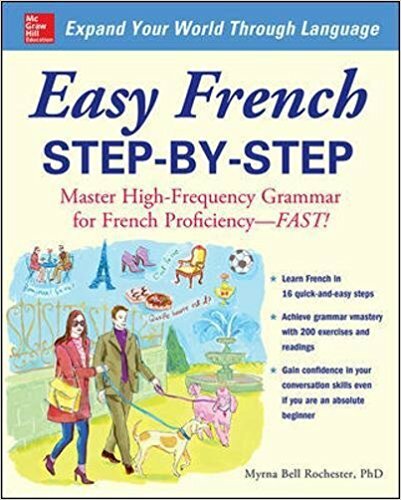 If you like your books to be a little more flashy, then this may be a better choice than Easy French Step-by-Step, as it has more graphics. This text is best if you have a vague knowledge of French already, but it’s still great for beginners because it covers, well, beginner’s French. Many of the modules focus more on oral interactions, teaching through a performance-oriented approach. So if you’re outgoing, find a language-learning buddy to practice with. Unlike similar textbooks, its focus is on phrases and vocabulary that (gasp!) you may actually use in the real world. 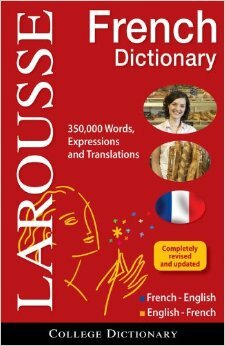 This textbook boasts great visuals, important cultural references, help with pronunciation and a useful French-English dictionary in the back, so you don’t have to go craning your neck from textbook to dictionary and back again. If you are looking for listening exercises (very important if you ever hope to understand the French), then make sure you get the supplemental audio to go along with it. Intermediate French can make you or break you, so pick a good companion to help get you through the brush. You may be speaking well by this point, but your reading comprehension and understanding of grammar remains a little shaky. Regardless, it’s time to buff up your French with a few helpful resources. Idioms and slang aplenty! Didn’t think you’d find that in a textbook, did you? This book is serious business. If grammar is what you need help with, and you’re ready to sprinkle more advanced vocabulary into your French, then here’s your solution. 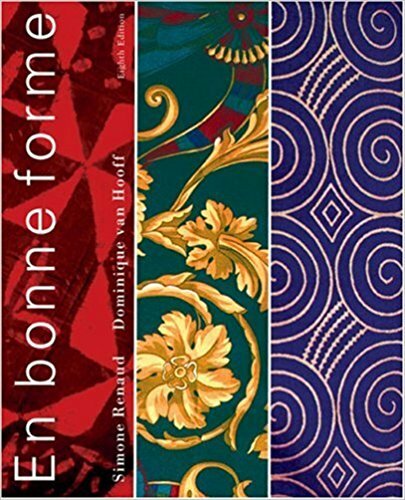 En bonne forme is a great reference for all things French grammar, and it goes through the tenses and rules with great examples, explanations and attention to detail. If you’re studying French, then there’s a chance that you may also enjoy French cinema. Maybe I’m just making broad generalizations, but French can open doors to wonderful time periods and styles of filmmaking. And while watching French movies is certainly a viable way to learn French, sometimes having a more organized approach is best. 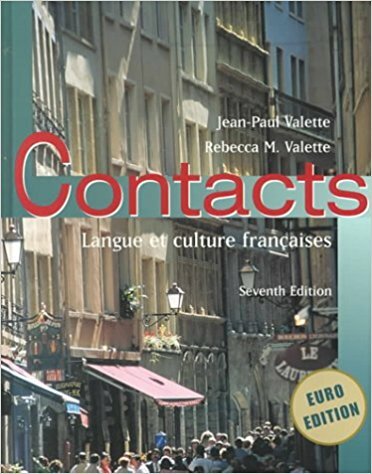 This textbook does exactly that; it uses French-language films and corresponding texts to help expand your knowledge of culture and vocabulary, with activities that tie it all together. 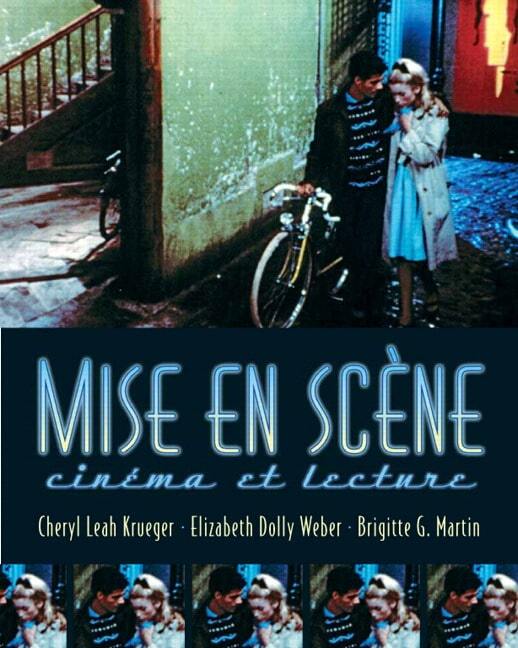 Cinephiles and Francophiles alike, this may be as fun as textbooks get. 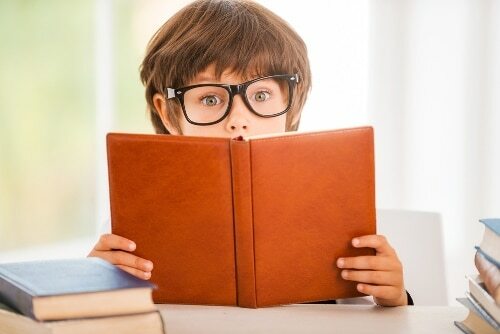 Bookworms, I know you’re out there, wondering if you can just read your way to fluency. Well, no, not technically, but you sure can learn about the intricacies of grammar (oh hey simple past tense) and build your vocabulary. 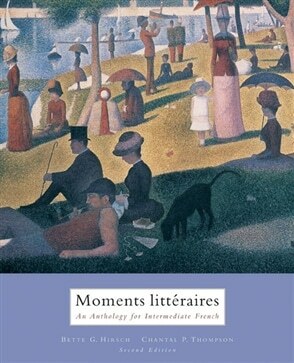 This is an anthology of French masterpieces, dating back from the Middle Ages to present day. It also includes pre- and post-reading activities to help you get the most out of each reading. This is the pinnacle of French textbooks. This reference guide to the nooks and crannies of French usage and style is a whopping 1600-1800 pages (depending on what edition you get). It was first published in 1936 and has been revised systematically since. There is even a new online edition. It may seem daunting, but if you’re serious about your French, ranging from struggling beginner to fluent professional, this book will have the answers presented in an organized manner to any little question about usage you may have. If you’re looking for something a little more general, than this book may be more your speed. With similar topics to Le Bon Usage, it’s a little bit easier to digest because it’s made for English speakers. 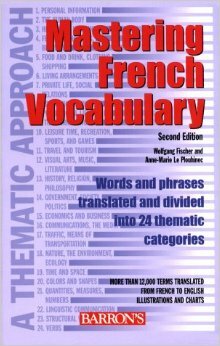 It has an insane amount of French examples from a huge array of texts, and will give you a detailed answer to all your grammar questions. It’s also a more normal size for a textbook (706 pages), including a very helpful index of phrases, vocabulary and topics to help make finding what you need to know a little easier. Similar to Moments Litteraire in its teaching methods, this is a great book for more casual French reading (assuming you can read in French, that is). 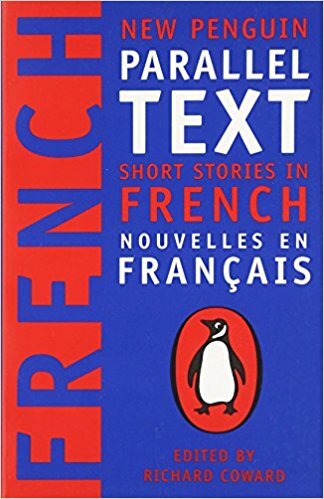 It has great short stories, all in both French and English (to help you out with comprehension). If you’re looking for more books like this and aren’t ready to throw the English crutches to the curb just yet, then there are plenty of parallel texts out there. Here’s a good list of other titles. If you were a student for many years and didn’t get a lot of immersion-based experience, but somehow emerged at the end with a whole lot of grammar knowledge (teachers like to review those tenses! ), then you’re probably looking for some vocabulary help. This book contains over 5,000 words and phrases (Learn all of them! All of them! ), all organized by theme to make it digestible. This book is invaluable. 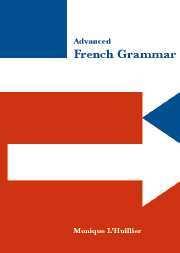 If you suddenly forget the past participle of pouvoir, you whip this book out, find the verb and there it is—its past participle and how to form it in all the major tenses. And, you guessed it, this is done with 501 different verbs. A good thing to have on your shelf, no matter what level your French is at. You knew this was coming. Phonics! So you’ve got your vocab under control, your grammar in check, but you sound pretty weird when you speak. If you need to kick your pronunciation into gear, this book is a great resource. You can sit around making funny noises to yourself with it! Such fun! It’s also a nice and compact book so you can take it with you on all your French-speaking adventures. Every French learner needs a good dictionary. Keep it on your desk or in your book bag. While there are plenty of french translation apps out there, there’s nothing like the good-old-fashioned way of translating! They’ve got a variety of editions as well, so you can get a dictionary that suits your specific needs. They have editions for middle schoolers, college students, a concise version, pocket version and a big old hardcover one if you like having big red books on your shelf. No need to develop an extensive collection of textbooks just to learn the language, but hopefully you’ll find something that suits your needs and helps fill in any learning gaps. Remember that burying your nose in a French textbook for months at a time won’t make you fluent, so make sure you get out there and exercise those phonics in the real world! If you want to experience all the best in French-learning material, then you’ve got to try FluentU. 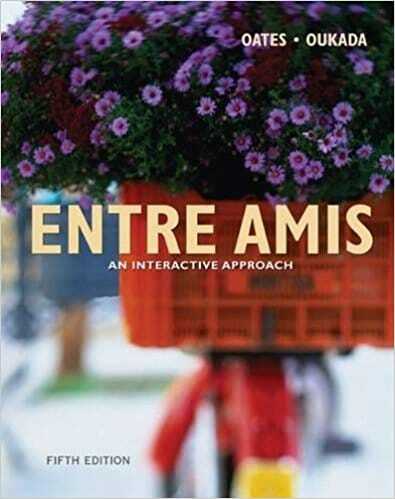 Think of it like a huge interactive textbook that encompasses a whole world of authentic French speech.